Electricity in our homes makes our life easier. It keeps us cool and warm. It lights our homes. And it lights our appliances that are important parts of our lives. Most people take electricity for granted. When they need power, they just turn to the nearest switch. Electricity is there to serve you 24/7. But it is also dangerous. So, it is important to know the following signs of home electrical problems. When your electrical appliances start producing unfamiliar odor, there is a problem with your appliances. If you smell a funny odor coming from your electrical outlet, do not use it. Unplug anything that is connected to that outlet. There are so many counterfeit electrical products on the market. When you go to a flea market, you may buy some of these products. They are cheap. But they are not up to the government or industry standards. They are dangerous. If you have counterfeit electrical products in your home, replace them immediately. They can cause an unnecessary fire. Touch your light switches. Are they warm? If yes, call an electrician immediately to replace them. And if you see sparks in your outlet, call a professional electrician to fix it. Make sure your switches and outlets are operating silently. What do you hear when you plug into an outlet or flip a switch a switch? Do you hear a sizzling, cracking, or buzzing sound? If yes, replace the switch. What cause flickering lights? Power surge. Power surges do not come from catastrophic events. If you plug in several electrical appliances, they can cause a power surge. If you are seeing flickering lights continuously, it is time to upgrade your home’s electrical wiring. Check your light switches. If they are not working, the wires may be loose. This is dangerous because it can cause a fire. Loose outlets can cause an electrical shock. If the outlet is exposed, it can shock your kids, especially when they are trying to plug or unplug a cord. Rats and mice chew electrical wiring. 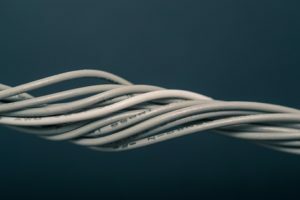 Damaged or frayed wiring is a fire hazard. So, check if there are rodent droppings in your basement, attic, and around electrical fixtures. Make sure the wiring in these areas is not damaged. These are the most common signs of home electrical problems. If you see these signs in your home, call a professional electrician to fix them immediately. What Are The Main Benefits Of Having An Efficient Air Conditioning System?